Gen has been an integral part of the Laurence Realty sales team for many years. 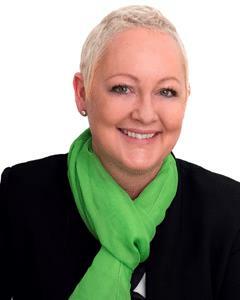 Gen has received many awards for her efforts over the years, like top listing rep for land and project marketing 2014, numerous REIWA awards, Elders elite sales award 2013, Elders second highest salesperson residential 2013 and many more. Gen started her successful career in real estate sales in 2007 and is confident her experience, knowledge and passion for real estate always gets results. Gen believes in doing business in an honest, upfront manner and always acts with integrity. She strives to provide her clients with superior service in all aspects of buying and selling properties. Her aim is to ensure her clients experience a stress free, and uncomplicated journey when selling or buying. You will always be assured of good communication with honest and frequent feedback. Gen is passionate about achieving the highest possible results for her clients and looks forward to helping you with exceptional service for an exceptional result! Gen has a received great feedback from past clients that we’d love you to take a look at, feel free to ask Gen or take a look on rate my agent.